ORWALL is part of East Texas State District 28 which includes Northwest 45, Conroe, Tomball and Montgomery Little Leagues. 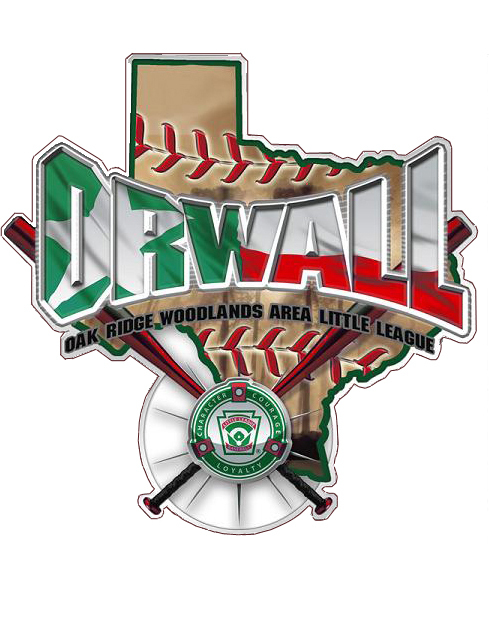 ORWALL is actually TWO separate and distinct Little League organizations, operating under a single Board of Directors and sharing a baseball facility. We are chartered and known by Little League International as ORWALL American and ORWALL National. Coaches, team moms, and board members are volunteers and receive no compensation for their time. Umpires are contracted out by a local agency and are not employed by Orwall. ORWALL is 100% funded by our membership and companies within the community through sponsorships. ORWALL has 12 Age Divisions from ages 4-18. Our park is 16 acres with 10 Fields, two concession stands, two restrooms and a playground. We are currently working on plans to raise funds and build additional fields on the vacant land previously used for football. Over 1,500 kids are playing on 136 teams in over 900 games at ORWALL in Spring 2011. The top five budgeted expenses for Spring 2011 are: Field Expenses $110,000, Umpires $64,000, Uniforms $55,000, All-Stars $35,000 and Utilities $25,000. This represents 83% of the budget. Also budgeted is over $75,000 in capital improvements including new fencing on 2 fields and concrete repairs throughout the park. ORWALL's safety manual was recognized for being the best in Southwest Region in 2010! ORWALL won 8 District All-Star tournaments in 2011. Our 11 year olds won Section 2 and finished as runners-up in the State Tournament. Our Big League (17-18 yr olds) team won State and finished runner-up in the Southwest Region (1 win away from the Big League World Series). ORWALL is within the boundary of five High School Baseball programs: College Park, Oak Ridge, The Woodlands High School, The John Cooper School and the Woodlands Christian Academy.